Yeovil's earliest surviving domestic properties? Green Quarry is an area off Mudford Road, on the eastern side and more or less opposite Hollands (now part of Yeovil College campus) and north of Sparrow Road. 'Green' was a term commonly applied to marshy areas and the quarry reference derives from a small quarry in the area that lay close to the footpath leading to Green Moor on the northern boundary of the parish near Yeovil Marsh. 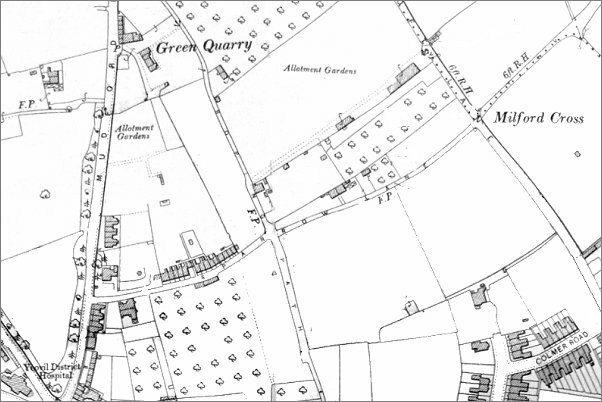 The earliest reference is in the 1633 Survey of Kingston which recorded "William Hilson and Richard his son hold by indenture dated 14 May 1609 granted by Edward late lord Stourton and a fine of 40s, a plot of ground lying waste called The Greene Quarry in Kingston at the end on west side Sparrows lane [Sparrow Road], for the lives of William 70 and his sons William 32 and Richard 28. Rent 12s and suit of court." A lease for 99 years dated 20 October 1658 between Sir William Stourton, his wife Lady Frances, and Humphrey Weld of Lulworth Castle on the one part and Richard Hilson of Kingston juxta Yeovil, glover, on the other part referring to "All that lot of ground on the Waste known as Green Quarr situated in Kingston whereon a cottage is lately built at the end of a lane called Sparrows Lane on the east side for 99 years for Richard Hilson, Alice his wife, Mary his daughter." There were originally two blocks of cottages; the western block, comprising Nos 1 and 2 Green Quarry and abutting Mudford Road, was demolished in 1958 (see sketch below). 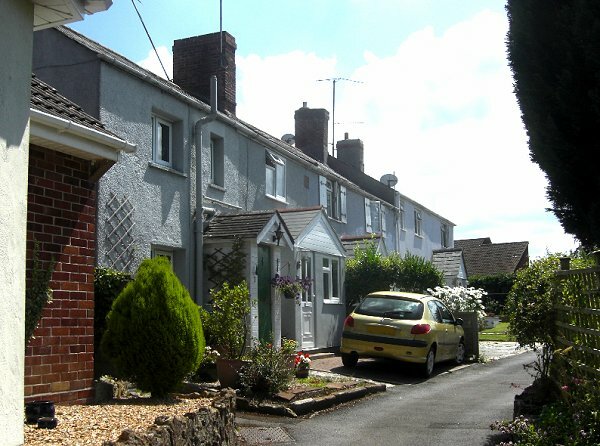 The eastern row of cottages still survive (see photo). 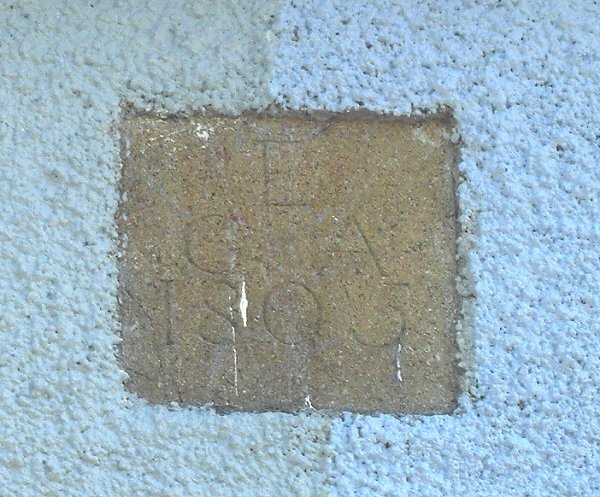 A datestone set into the surviving row of cottages reads E over GA over 1805 - it is not known who the builder was, but it may have been George Ewens. Green Quarry was listed in the Poll Books of 1831, 1832 and 1834 with George Ewens as the owner of freehold houses (plural) who also lived there. Nevertheless, the construction date of 1805 makes these the oldest known surviving domestic cottages in Yeovil (unless you know any different - please contact me if you do). By 1846 George Ewens was living in Preston Road but still owned freehold houses and land in conjunction with 'John Lovell and others'. It is not known which, but one of the cottages was used as a beerhouse, probably in the wake of the Beerhouse Act of 1830. Under the 1830 Act any householder who paid rates could apply for a license to sell beer or cider and set up a so-called beerhouse, usually in his own home. The license would also allow him to brew his own beer or cider on his premises. The license cost a one-off payment of two guineas - £2.10 in today’s money but about £160 in today’s value. The known Green Quarry beerseller was Joseph Nelson who was born about 1799 at Piddlehinton, Dorset. In the 1841 census he was living in Green Quarry with his wife, Elizabeth, and six-year old daughter, Mary. Joseph was listed as an inn keeper. In 1851 Joseph was licensee of a beerhouse in Hendford with Elizabeth and dressmaker daughter Marie Ann. This beerhouse turned out to be the fledgling London Inn. He was still listed there in Kelly's 1861 Directory but Joseph died in the winter of 1861. The 1901 Ordnance Survey showing Mudford Road at left and Green Quarry at top left. 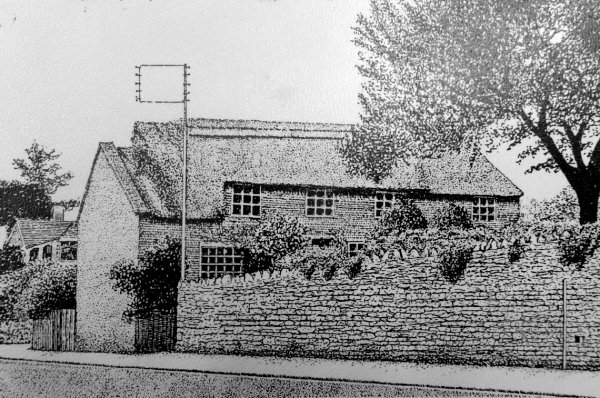 A sketch by Leslie Brooke of the two Green Quarry cottages abutting Mudford Road and Demolished in 1958. The surviving cottages of Green Quarry. Built in 1805 and photographed in 2014. The 1805 Ham stone datestone at Green Quarry. The builder 'EGA' is still a mystery.